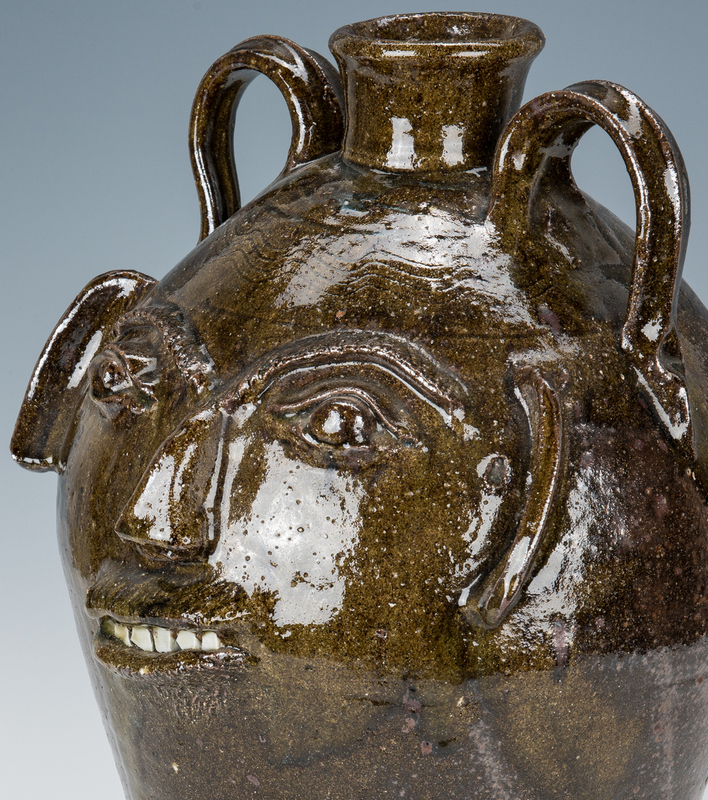 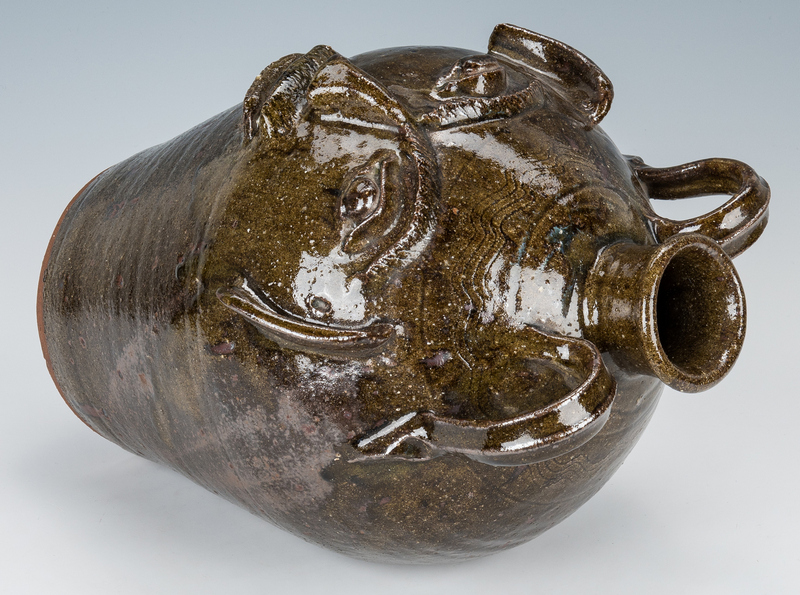 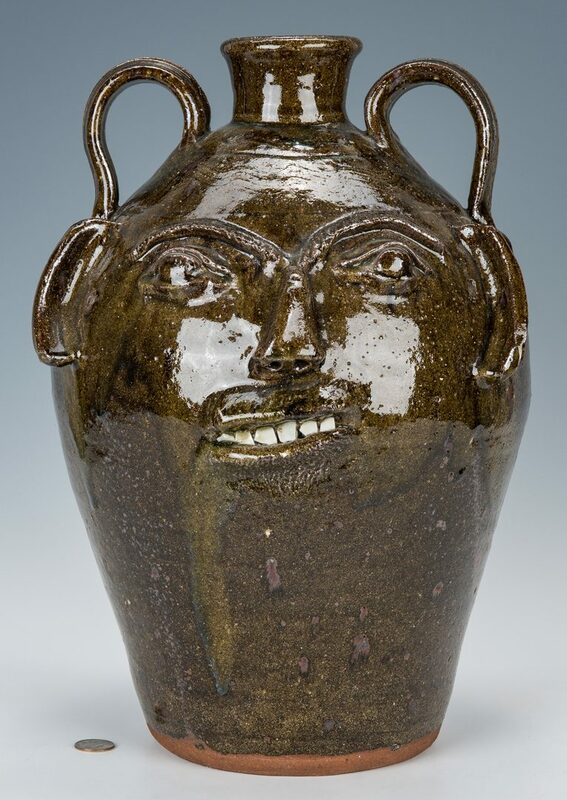 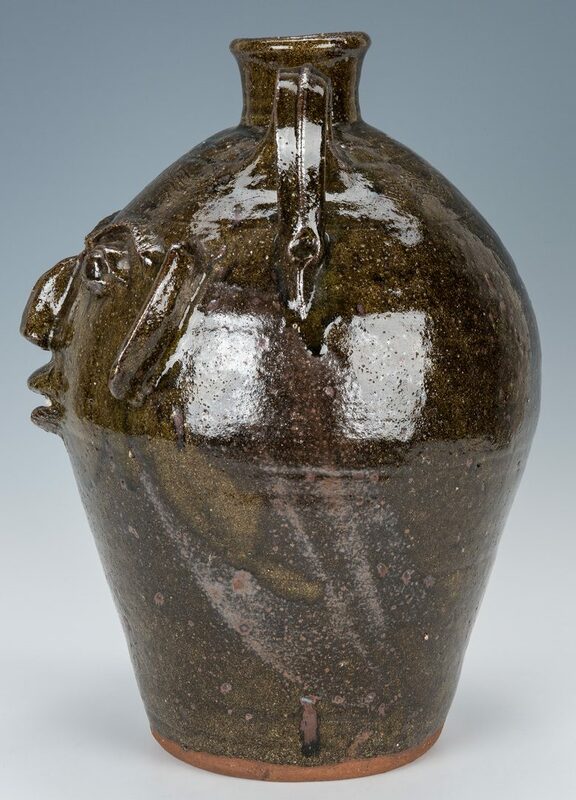 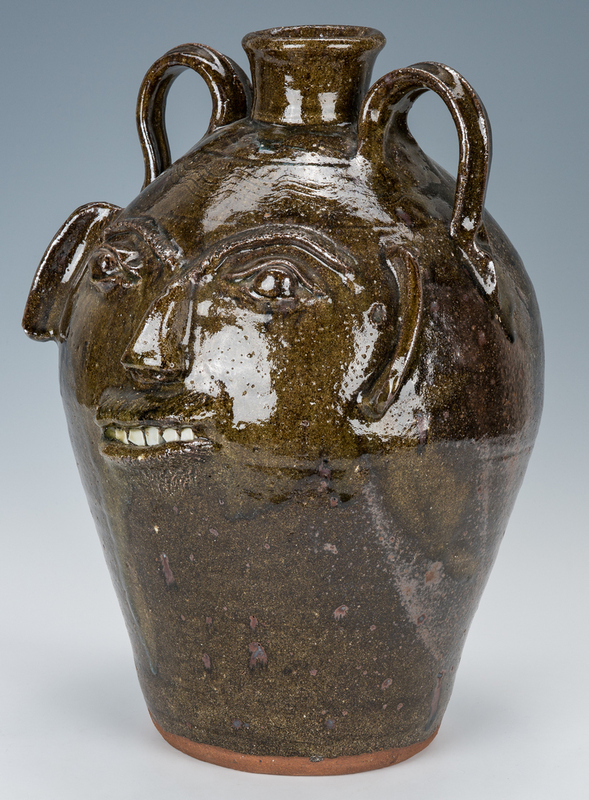 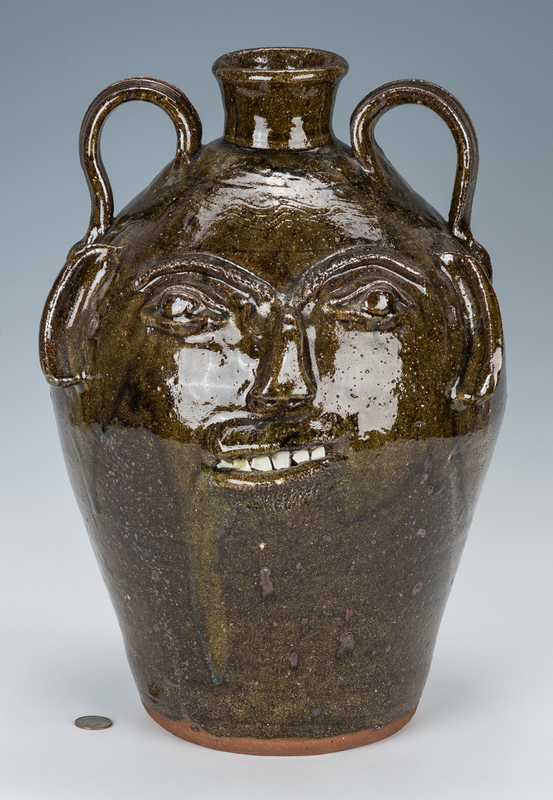 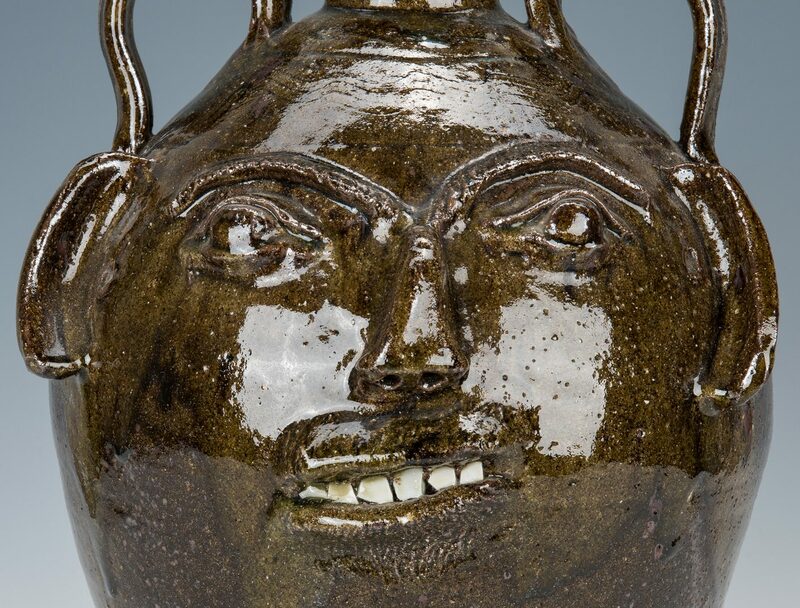 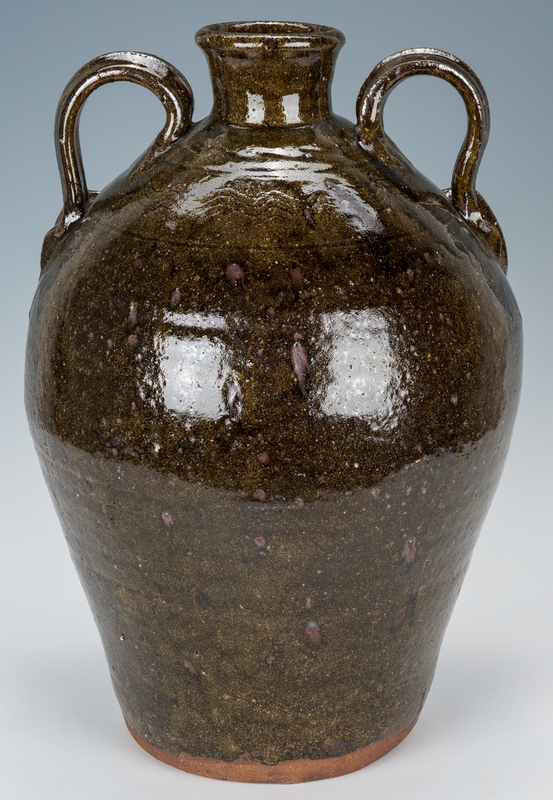 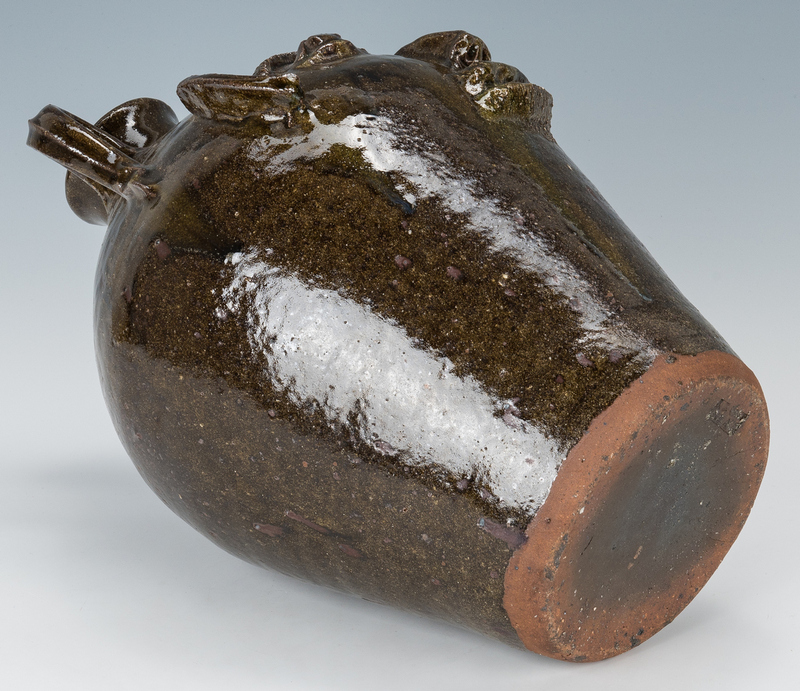 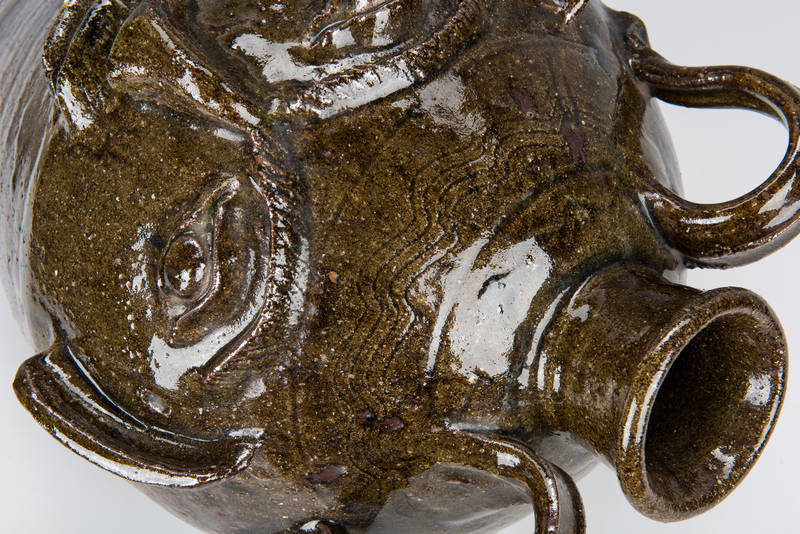 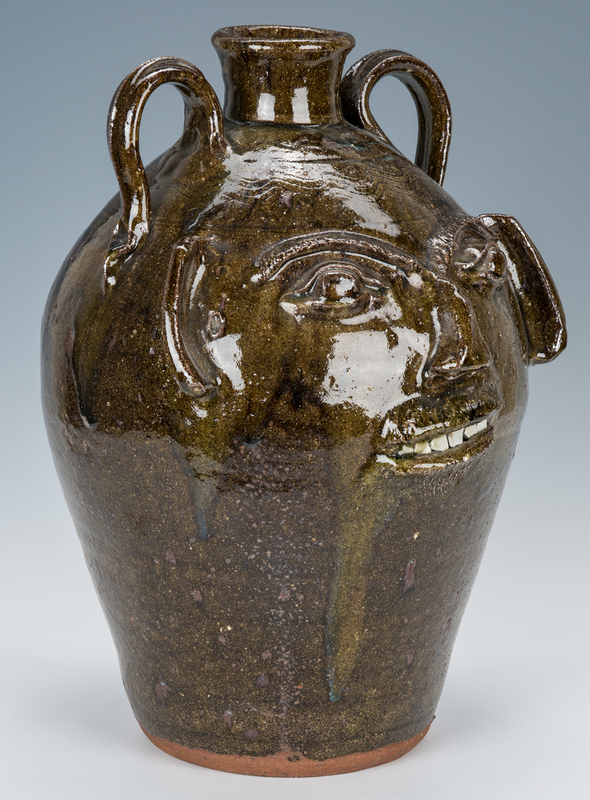 Large 4-gallon North Carolina face vessel or jug by Burlon Craig (North Carolina, 1914-2002) having a dark alkaline glaze, double handles, incised sine waves around the upper shoulder, prominent face with open mouth and china teeth. 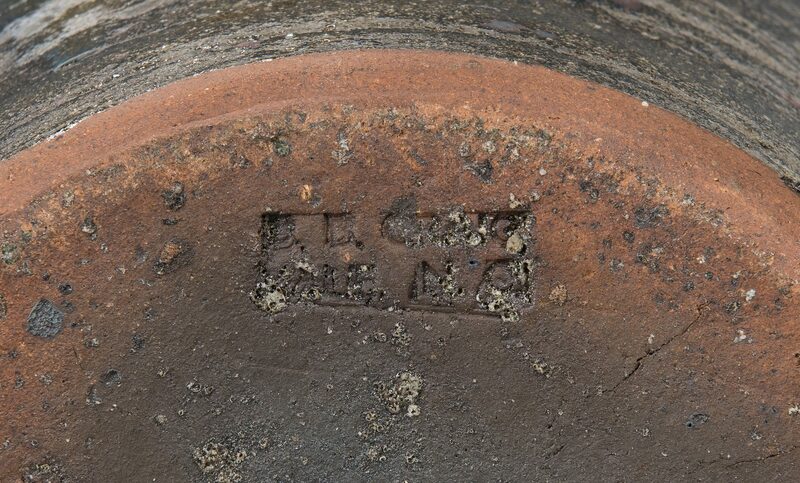 Stamped on the base "B. 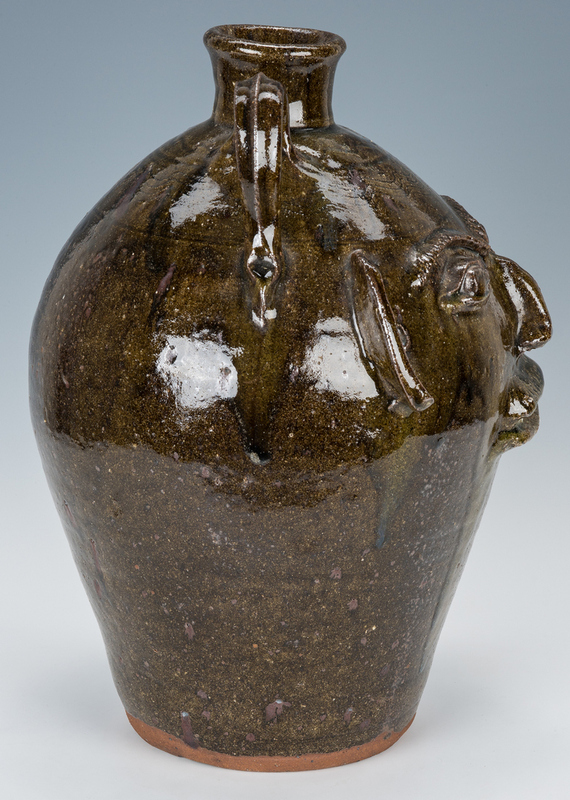 B. Craig/Vale, NC". 16 1/2" H. CONDITION: Very good condition.